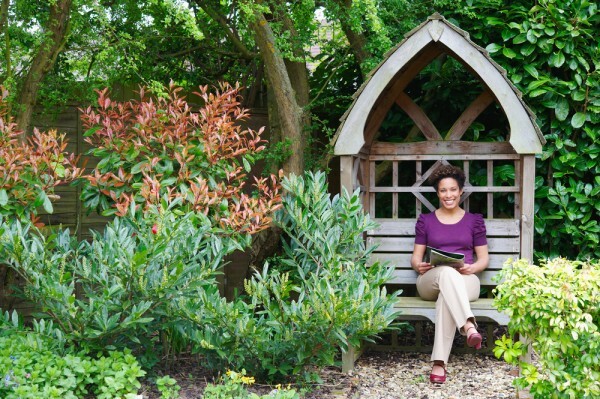 A garden nook is the perfect focal point for any garden and is a great way to ensure you’ll spend more time outdoors. Whether you have a big backyard in need of some interesting features, or a small space that could be better utilised, a garden nook is a great and easy way to update your garden. A garden nook doesn’t necessarily have to be in your backyard ­– you could also create one around the side of your house, on a porch or balcony, or, providing it’s safe and flat, even on the roof of your house or shed! Put simply, you can create a garden nook wherever you have space and make it as cosy or as spacious as you like, so long as the area gets a good balance of sun and shade. Climbing plants are a great addition to any garden nook, as they make the space cosy, visually stunning, and provide a good amount of shade covering. Climbing plants can be grown up walls, balustrades, and trestles, and will keep your chosen garden nook location cool and private. If you still require more shade for your garden nook, why not invest in a pergola? Placing a pergola over your lawn, decking, or concrete patio will immediately make the area more private and protect shade loving plants from the sun. Small, hidden walkways will add a touch of magic to your garden, and, more importantly they’ll allow you to properly access all your different plants. Walkways can also be used to separate your garden into different sections, which is perfect for making your garden nook feel more secluded. To make your garden walkways extra special, line them trees, flowers or ground lights. Since the main idea behind creating a garden nook is making a space to relax and chill out, you’ll probably want to fit it out with some furniture and accessories. Think a small dining table and a couple of chairs or a coffee table with a comfy bench, covered with pillows and throws of course. You may even want to set up a miniature bookshelf or even a hammock amongst the greenery. Should you want a concrete path leading up to your new garden nook, or a concrete slab to define the area, A Better Driveway can help. A Better Driveway are concrete specialists and can work with you to create a stunning garden. We’d love to welcome you home to A Better Driveway.